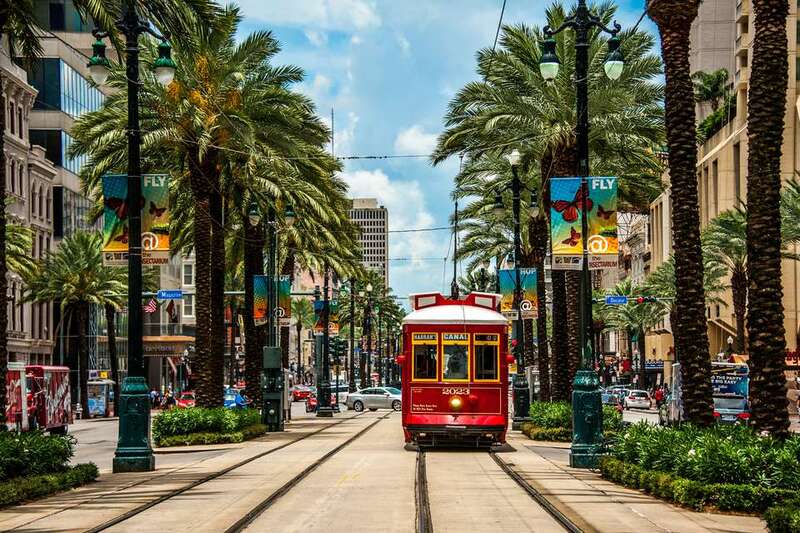 New Orleans is one of those cities that are widely known for their vibrant culture, great food and astounding sights. If you are very passionate about exploring a new city with amazing visuals, great people and lots of sights to be seen, then New Orleans should always be right up your alley. And here are some of the things you should check out while visiting New Orleans. Before considering a travel to New Orleans, you should know that ESTA Visa is needed in order to visit the USA. When it comes to a question: What is ESTA? - it is an electronic system for travel authorization. If you want to visit the US then ESTA is mandatory, because this authorization will allow you to go into the country. When you provide an ESTA application, this will collect biographic info and it will also answer VWP eligibility questions as well. If it has ever crossed your mind, whether - Do I need to apply for ESTA or not, the answer is simple. If you come from Europe then yes, you need to send an ESTA application. Since this is just for travel purposes, more often than not your application will be accepted. But it’s definitely something you have to do before going to the US. Otherwise, you will not be allowed into the country! There’s something exciting about revisiting the past, and the National WWII Museum definitely offers that opportunity. There are lots of WWII artefacts in there, and once you step into that building you will get to enjoy the past in a meaningful way. You will learn a lot and you will be quite amazed at how many planes are in there too. When you check the New Orleans Museum of Art you will be impressed with the unique interior design and architecture. They also have a rather impressive garden with beautiful artworks. And yes, the interior is full of American and French art. All these things add up to provide you with a great and fun experience. Seeing sculptures in a large garden is quite interesting, and here you have around 64 different sculptures that will impress you immensely. It’s also a great opportunity to relax in New Orleans while also getting enjoy some nice art too. The Orpheum Theater has been around for quite some time and it’s always bringing in new events and concerts. If you are a fan of great music, there are plenty of shows here. There’s even a live orchestra there, so you are bound to find something to enjoy. Having a quick insight into the Mardi Gras is very interesting, and here you will be able to enjoy some cool Mardi Gras items and representations. It’s one of the most interesting things that you can check out especially if you are interested in this type of content. A lot of people consider the French Quarter to be an amazing place, just because here you can find iconic landmarks, bars and also suitable places where you can enjoy the local Cajun cuisine. So there’s definitely a lot of fun to be had if you check out the French Quarter, which is why you do need to give it a shot if possible, as it can totally be worth it. City Park is one of the best urban parks in the use. It offers a rather eclectic mix of flowers and trees and it spans over 1300 acres. That alone makes it incredibly interesting and you do have the opportunity to enjoy natural beauty at its finest. The St Louis Cathedral is one of those architectural wonders that everyone wants to visit nowadays. And it’s easy to see why. The St Louis Cathedral is visually imposing, it also has a rich history too, not to mention there’s a lot to see inside as well. Which is why you should totally check it out if possible. Animal lovers will enjoy the Audubon Zoo because there are lots of great animals here and the sights on their own are pretty exciting. There’s definitely a lot to explore and enjoy here, so if you enjoy animals this is totally worth it. This is one of the best aquariums in the region. It has fish from all over the world, not to mention it hosts an extremely large exhibit with sharks too. Which means anyone interested in marine life is bound to have a very good time at the Aquarium of the Americas. Whenever you want some old school music you do need to give the Preservation Hall a shot. It’s one of those places that everyone likes just because you get to enjoy nice music and some very rewarding and exciting moments. It’s definitely a lot of fun to go there and just access to live music in various styles and genres. If you’re coming to New Orleans with the entire family, then you have to check the Louisiana Children’s Museum. It’s a wonderful place for kids because it combines fun with happiness and it really stands out as a great place to visit as a tourist. As you can see, New Orleans offers some amazing opportunities and it’s widely regarded as one of the best places to check out during any vacation. There’s always something new to see and explore, plus the accommodation prices are quite affordable for the most part. And you can find activities for the entire family, which is always nice and fun to have to say the least!